Coco Brick & Mega Brick are lightweight and easy to transport blocks of compressed premium coir. 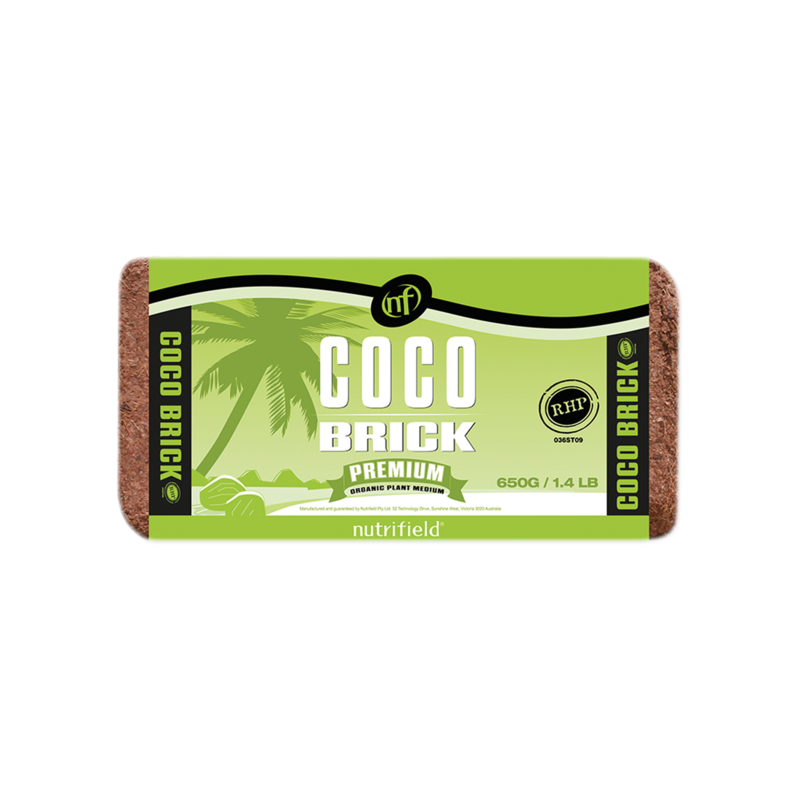 When hydrated, these bricks expand into the renowned, RHP certified, Nutrifield Coco Premium with the same excellent liquid retention and friability properties. The RHP certification ensures that the coir maintains a high level of consistency and quality, is pest and disease free, thoroughly rinsed, pH stabilised, pre-buffered with calcium and has a very low salt index. The Coco Brick and Mega Brick expand to 9L and 55L of fresh, ready-to-use coco, respectively. Coco Brick & Mega Brick are portable, space efficient versions of Nutrifield Coco Premium, which is an ideal substrate for exceptional plant growth. 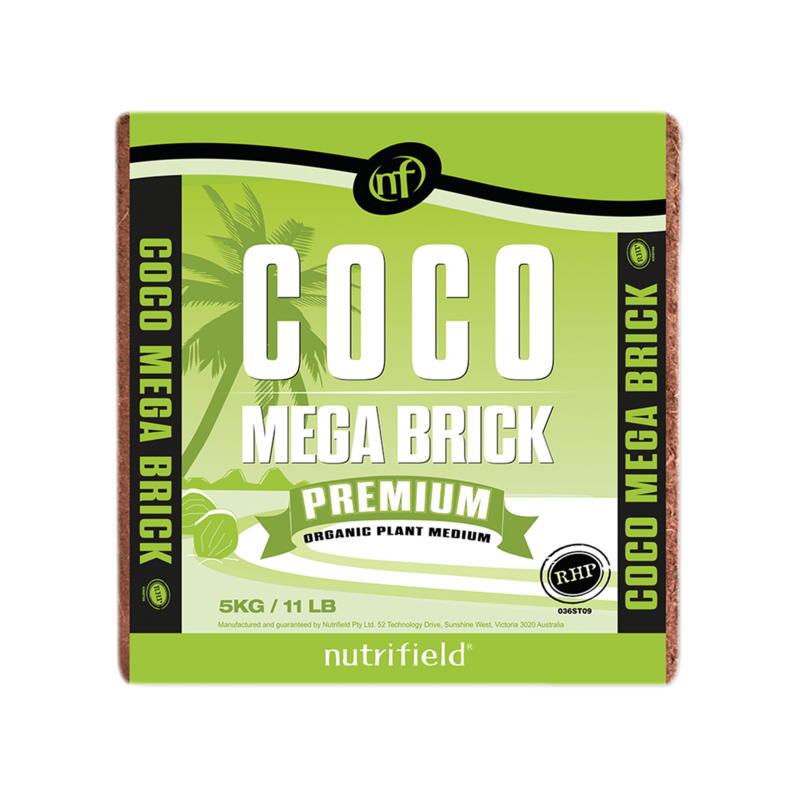 Nutrifield Coco Brick and Mega Brick are compacted blocks of premium coco coir, which expand to convenient, workable volumes of Nutrifield Premium Coco. The blocks expand quickly when soaked in water, making them extremely simple to use so gardeners can set up their hydro systems efficiently. Nutrifield Coco Bricks and Mega Bricks arrive dried and compressed. The coco blocks are free of water, which constitutes a large portion of the weight of ready-to-use coco, making the compressed blocks extremely light and easy to carry. Nutrifield Coco Bricks and Mega Bricks are compressed into blocks, which makes them stackable and saves space on shelves and during transport.